In 2010, ESPN’s “30 for 30” docuseries dedicated a movie to June 17, 1994. The date, also the title of the doc directed by Brett Morgen (“Cobain: Montage of Heck”), is well-known for different reasons. It was game five of the NBA Finals, Arnold Palmer’s last round he’d play at the US Open, and the New York Rangers’ celebration of their first Stanley Cup in 54 years that day on the streets of Manhattan. Morgen does an incredible job capturing the day when a nation was glued to their TV screens. 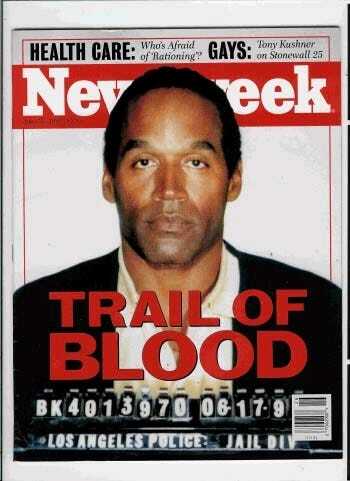 But in part three of the new “30 for 30” documentary “O.J. : Made in America” (airing Thursday), director Ezra Edelman delves even further into the madness of the Bronco chase, which all came after the murder of Simpson’s wife Nicole and her friend Ron Goldman. Covering all the particulars of what occurred following the discovery of the bodies, the documentary also gives us a glimpse inside Simpson’s psyche at the time just following the murders. A standout moment is when Ron Shipp, an LAPD officer who was a friend of Simpson at the time, says in the movie that Simpson told him the reason he refused to take a lie-detector test for the police is “he did have dreams of killing” Nicole. We are then given a play-by-play of the Bronco chase from the helicopter pilot who first spotted Simpson, the officer on the phone with Simpson while he was in the back of the Bronco with a gun to his head (we even hear some of their phone conversation), the SWAT team racing to Simpson’s house (the option to kill him if he came out of the Bronco with the gun was possible). It’s all told in amazing detail. It’s incredible to think that even if you lived through the Bronco chase, and watched “June 17th, 1994,” that there are still new stories to hear about this moment in history. But that’s the beauty of this documentary. Edelman gets the people who have talked about this experience in the past to reveal fresh details that they left out previously. What Simpson couldn’t have realised at the time is how the African-American community would play a major role in his murder trial. Part four of “O.J. : Made In America” airs on ESPN on Friday.